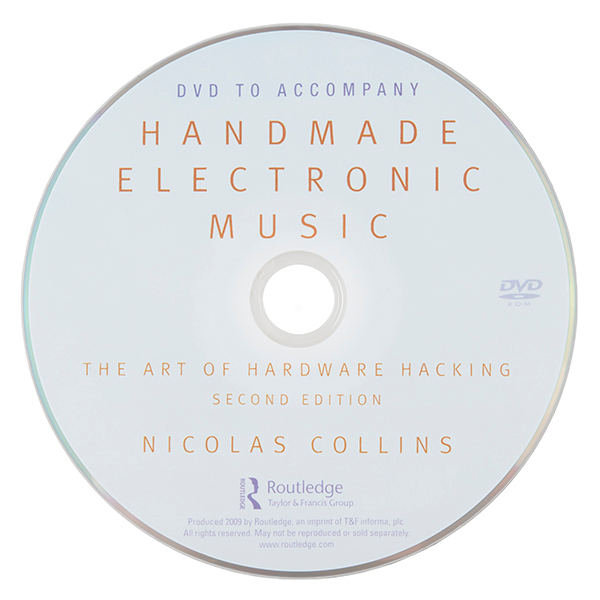 Handmade Electronic Music: The Art of Hardware Hacking provides a long-needed, practical, and engaging introduction to the craft of making - as well as creatively cannibalizing - electronic circuits for artistic purposes. 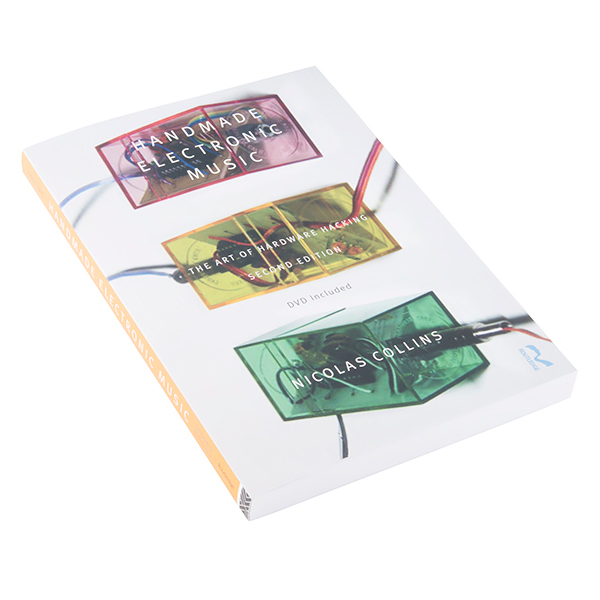 With a sense of adventure and no prior knowledge, the reader can subvert the intentions designed into devices such as radios and toys to discover a new sonic world. 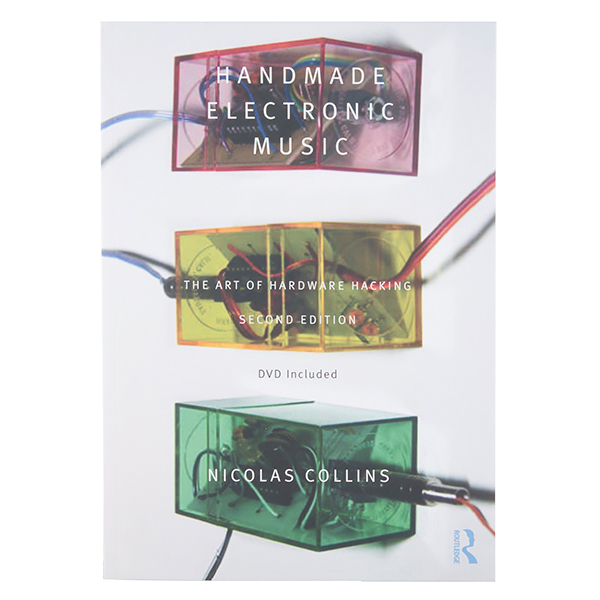 At a time when computers dominate music production, this book offers a rare glimpse into the core technology of early live electronic music, as well as more recent developments at the hands of emerging artists. 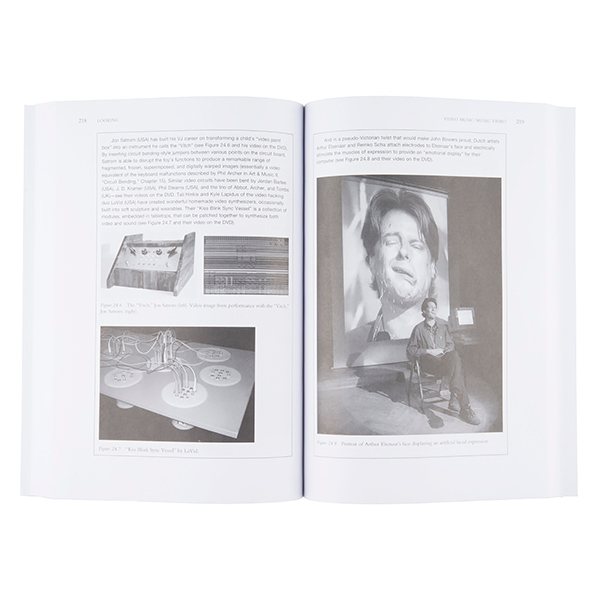 In addition to advice on hacking found electronics, the reader learns how to make contact microphones, pickups for electromagnetic fields, oscillators, distortion boxes, and unusual signal processors cheaply and quickly. 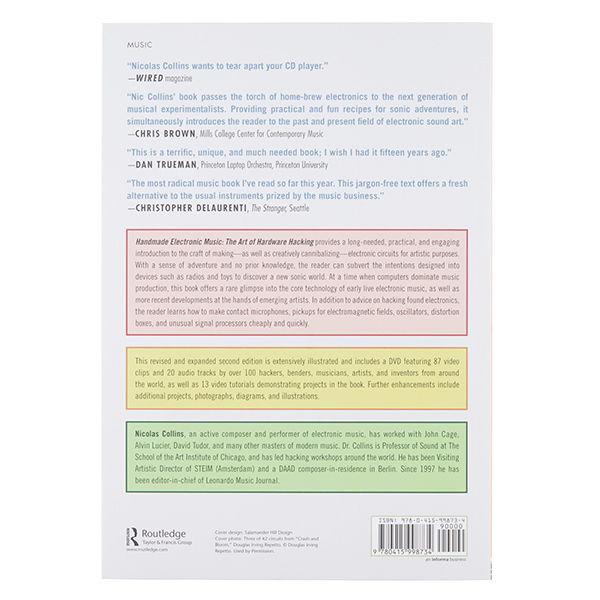 This revised and expanded second edition is extensively illustrated and includes a DVD featuring 87 video clips and 20 audio tracks by over 100 hackers, benders, musicians, artists, and inventors from around the world, as well as 13 video tutorials demonstrating projects in this book. Further enhancements include additional projects, photographs, diagrams, and illustrations.